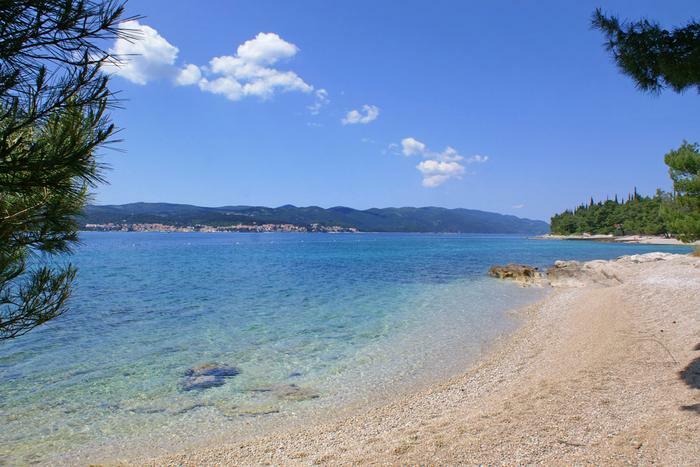 Pelješac Peninsula is a destination which takes pride in its wide sand beaches and fine pebble beaches. In addition to that, the sea is extremely clean. 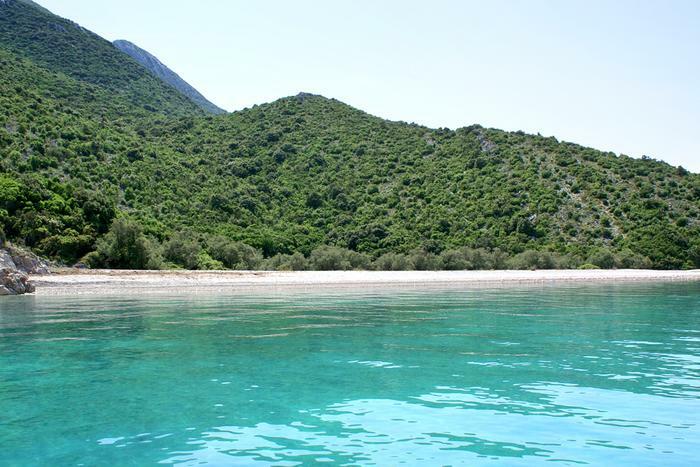 Just imagine taking a swim in the clear blue sea surrounded by green vineyard hills of Pelješac! You just cannot miss this experience on your holiday in Croatia. We hope our pick of the most beautiful beaches on Pelješac will inspire you to visit this natural oasis perfect for a peaceful summer holiday. In the town of Prapratno you'll find a popular 300 m long sandy beach with the same name. It is surrounded by rocks on both sides. The sea is shallow, clear and clean what makes it perfect for little kids and their play. Considering the fact that the beach is located near a camp, it can get crowded during high season. There is no shade on the beach, so don't forget to put some sunscreen on. 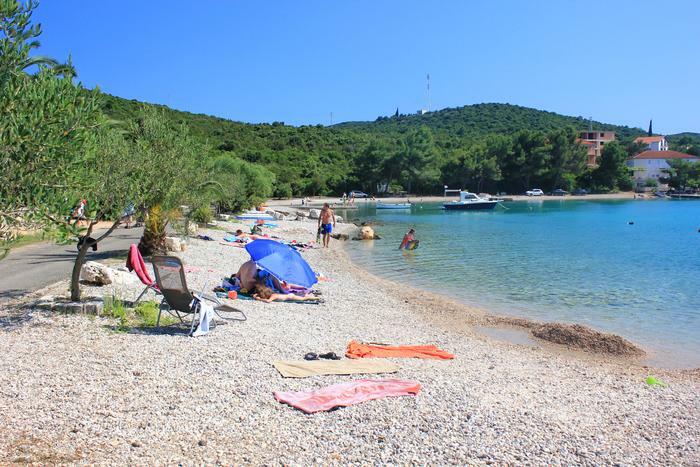 If you're planning to take a trip to the island of Mljet where you'll find a wonderful national park, take a ferry in Prapatno which will get you to Sobre on the island of Mljet. This beautiful beach with fine pebbles is 1 km away from the town of Dube (there is a popular beach called Divna there). Jezero beach is peaceful and lonesome in the peak of the season. If you'd like to steer clear of crowds and heat, take a swim at the Jezero beach. Your isolation is guaranteed since there is no other way to reach the beach other than by sea. Ask the locals to take you there by boat or rent one yourself. 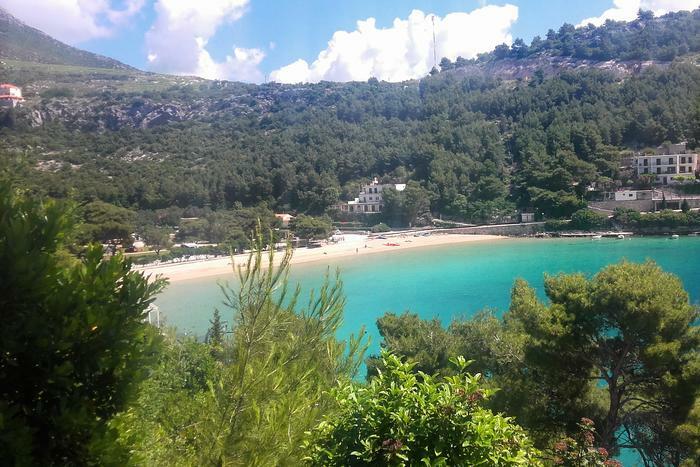 Head toward the south coast of Pelješac where you'll be greeted by a pebbly-sandy beach called Mokalo. From there, you'll have a magnificent view of the island of Korčula, and the shade is provided by the thick pine woods. The Mokalo beach is part of a camp so sometimes, especially in July and August, it can get crowdy. If you're bothered by crowds, go there in the early morning or late in the afternoon. There is a possibility to rent parasols and sunbeds, and there are also toilets, a cafe and a restaurant. 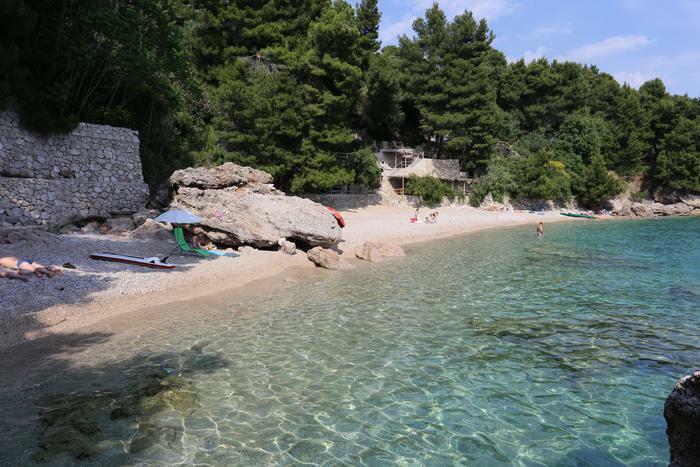 One of the most popular beaches of the Pelješac peninsula is Trstenica beach located near Orebić. Families with younger kids will enjoy this beach because of its sand. Besides, you can rent a kayak or pedal boat. And if you don't have your own, you can rent parasols and sunbeds as well. Wild and isolated beach in Česminova Bay will be interesting to everyone who likes bigger rocks and gravel. Make sure to take something to drink and eat, but sunscreen as well. The beach is popular among sailors as well because it has good anchoring locations, while the cleanliness and clarity of the sea motivate divers to explore the underwater world. The beach in Česminova Bay is 2.5 km away from the town of Lovište. Where to stay on the Pelješac Peninsula?